Property listed by Culhane Premier Properties. 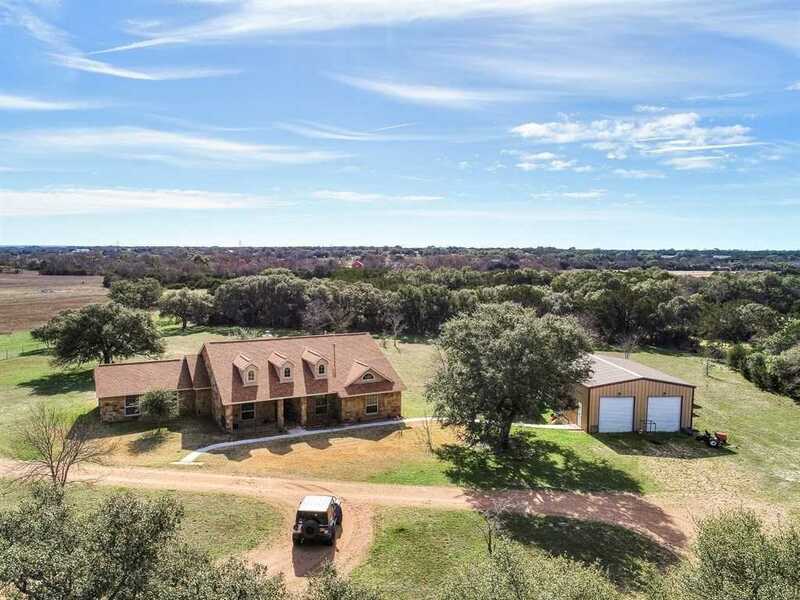 Immaculate Hill Country ranch style home on 20+ acres in Burnet! Conveniently located within minutes to Buchanan Lake, Inks State Park, and Wallace Riddell Park. This home has every fine end finish you could think of; great open concept, stained concrete flooring throughout, floor-to-ceiling stone wall with fireplace, rain water collection, and a workshop. Come enjoy the sunset from this beauty! Please, send me more information on this property: MLS# 3028414 – $575,000 – 5923 N Us Highway 281, Burnet, TX 78611. I would like to schedule a private showing for this property: MLS# 3028414 – $575,000 – 5923 N Us Highway 281, Burnet, TX 78611.